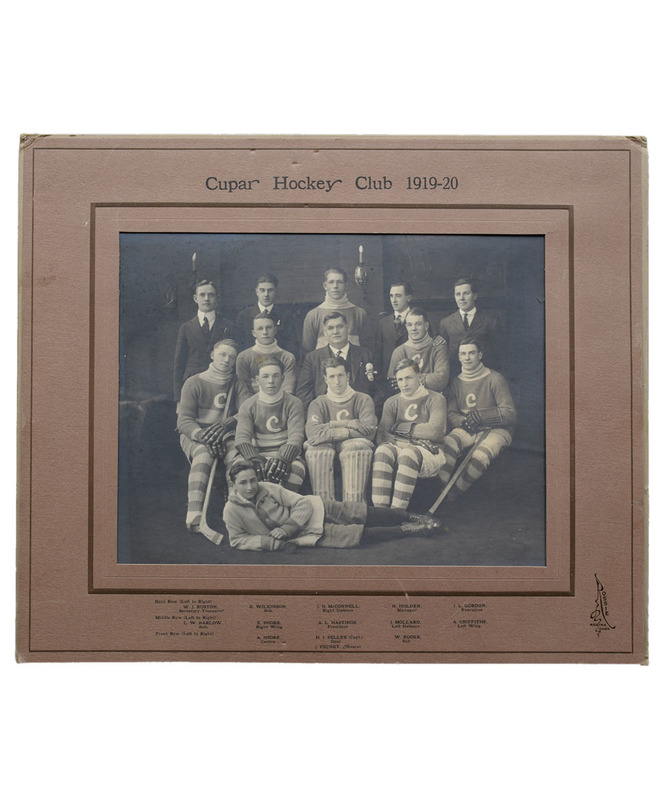 This photo is from the Cupar, Saskatchewan, Canada hockey club, "the Cubs" of 1919-20. In 2001, the community of Cupar, the site of Cupar's first arena was dedicated as the Shore Recreational Park. 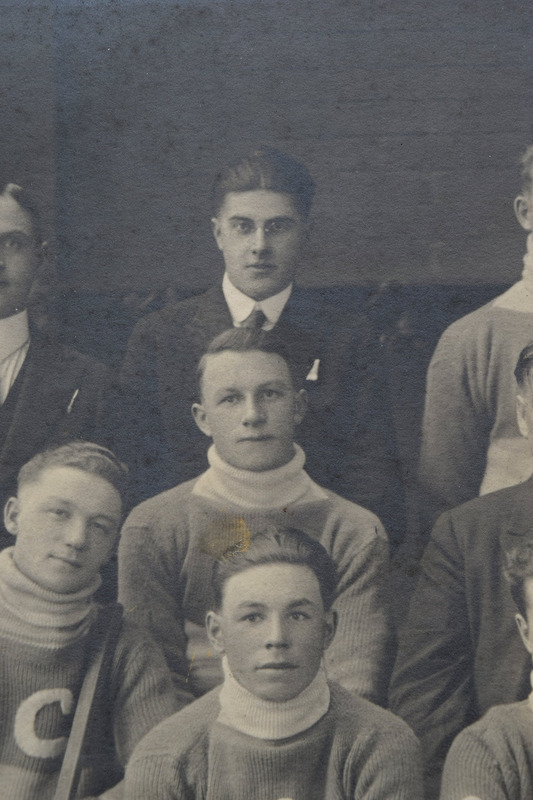 Eddie Shore with his brother Aubrey played for the Cupar Cubs senior hockey team from 1915-23. Aubrey is pictured just below Eddie in the photo. 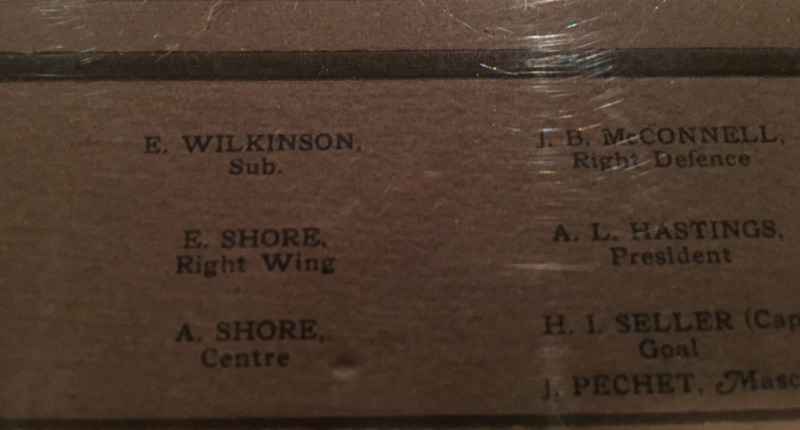 Eddie Shore would start his professional career with the Edmonton Eskimos of the WCHL then on to the Boston Bruins for 15 years. This cabinet photo is all original. It measures 13 X 11" with the photo itself at 9 X 7". The cabinet remains in good condition with some minor puckering at the corners and light indentations and scratches. The photo itself is in very nice condition with only a very light stain visible upon close inspection. 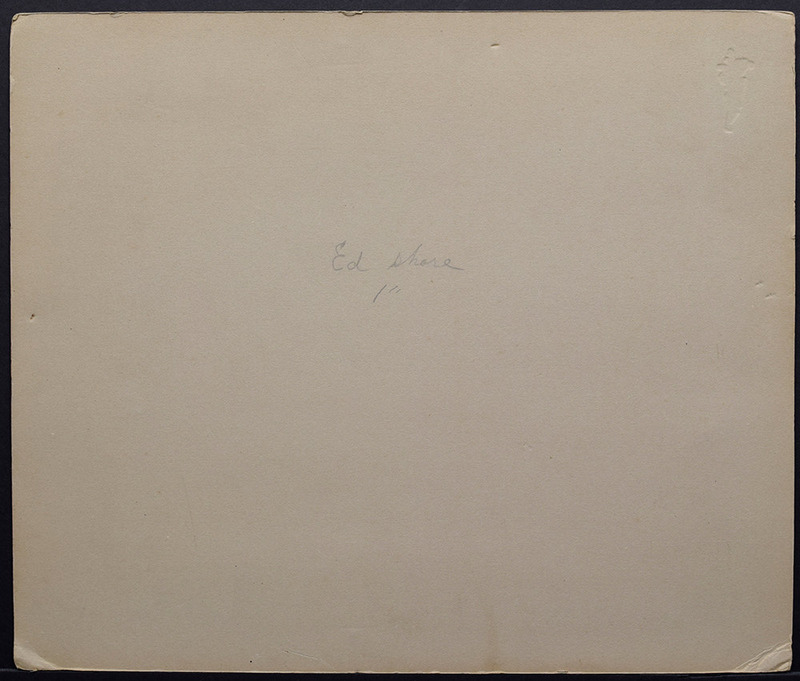 The photo studio mark, "Rossie" of Regina Saskatchewan is embossed on the lower corner. This rare photo originated from the Shore family.